Can you believe I made it to the ripe old age of thirty-something without ever reading this book? All that time wasted reading crap books when I could have been re-reading this wonderful book time and time again. If you have never read this book, or even heard of it, well then where have you been hiding? The story is about a young girl, a tomboy, called Scout. She lives in Maycomb County, Alabama with her father, Atticus, who is the town lawyer. She has a brother, Jem and they have a cook/housekeeper/surrogate mother figure called Calpurnia. The story starts off with Scout telling us how her brother broke his elbow, or at least that is what she tells us the story is going to be. The events leading up to that end up following several years in Scout's childhood. During those years, the most significant event is the trial of Tom Robinson. I won't go into the story any more than that as I read it with no prior knowledge and I think I enjoyed the book all the more for that. Why do I like it so much? Because the main character, Scout, has so much innocence, good old-fashioned gumption, a wonderful imagination and that innocent love that children have for their family and friends. I loved the stories of her and Jem's antics as well as her view on all the wonderful characters living in Maycomb. I thought that Harper Lee did a fantastic job of writing about the trial and the politics surrounding the case from the observation of a child. I particularly loved the character of Dill, I felt so sorry for him but at the same time found his individuality and strength heart-warming. 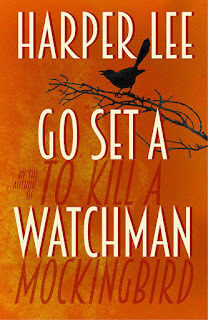 I then, of course, like millions of others picked up my pre-ordered copy of Go Set a Watchman. In case you have missed it, this was Harper Lee's first manuscript, which she set to one side before going on to write To Kill a Mockingbird. 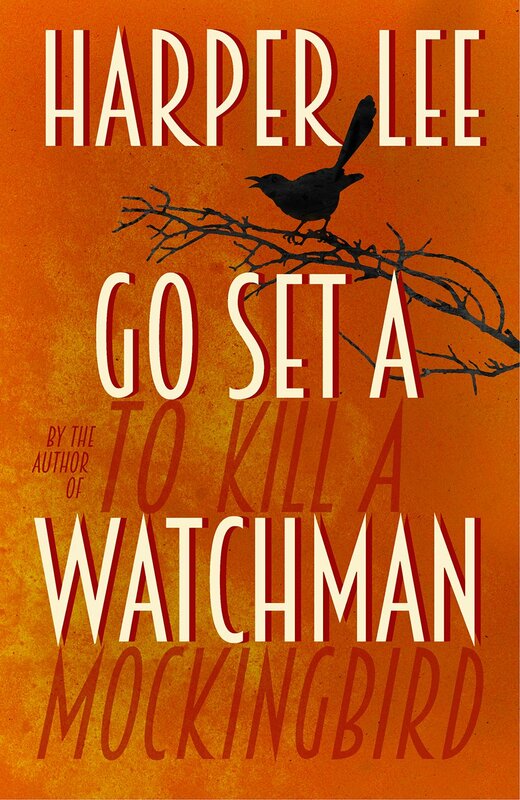 Go Set a Watchman is told from the viewpoint of a grown up Scout, who returns to Maycomb for a visit from her new hometown of New York. There has been a lot of controversy surrounding Harper Lee and her lawyer, and whether or not this book should have been published. I'm not going to speculate on that here as, quite frankly, I don't really care! I took great delight in opening this book up and seeing 'other books by Harper Lee'! I dove straight in and at first, I was not overly enamoured by it but as I moved through the book, I found myself really enjoying it. I do have to say that I think she made the right choice in writing the novel again, in the form of To Kill a Mockingbird, from Scout's childhood. The flashback scenes in this book were, by far, my favourite scenes. The politics in this book went way over my head as politics usually does! Especially as it was told from the view of an adult Scout, whereas in To Kill a Mockingbird, it is written from young Scout's view and therefore I were not bogged down by it all. I did not see the point in the character Henry. I failed to see why he was there at all. I do understand he might have been a tool in which Scout could be seen as throwing off the expectations of her Aunt and Maycomb society, to become the doting housewife and compliant lady. This did not really convince me though. I felt Harper Lee would have been better to have kept Scout’s brother in it and used him as the young male character for Scout to bounce off instead. However, it is all a moot point as Harper Lee re-wrote this manuscript into To Kill a Mockingbird precisely because this story did not work. As to other critics calling Atticus a racist in this story, I think they have failed to see the point of the story at all! I can only say to them, please re-read this book as you were obviously reading a different book to me. I am not saying he wasn’t, I’m just saying you obviously did not understand the last few chapters. One highlight for me, apart from the flashbacks, was the character of Uncle Jack, who I loved purely because he was so sweet and funny. I probably will re-read this again one day but not for a long time. I am really glad I have read it though. 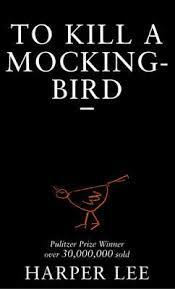 If you love To Kill a Mockingbird, I wouldn't say you have to read this. I would say, have a go if you are intrigued, just for the hell of it.